Hi, my name is Din Merican. I am originally from Alor Setar, Kedah Darul Aman, Malaysia. I learned to play golf while I was at graduate school in 1969, where I had the chance to meet the greatest golfer of the modern era, Arnold D. Palmer (left) and got a few tips from him during one of his visits to Washington DC. Those who are interested in playing golf should read Mr. Palmer’s book, Go For Broke: My Philosophy of Winning Golf. It is an excellent book. It teaches you to play good and exciting golf. 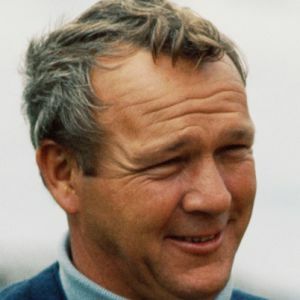 Mr.Palmer was taught golf by his father, Milfred (Deacon) Palmer who was a professional and greenskeeper at The Latrobe Country Club in Pennsylvania which Mr. Palmer now owns. I like to use this opportunity to remind readers and commentators that this is a serious public affairs blog. Comments which can promote ongoing intelligent discourse are welcome. Please refrain from making remarks or comments which exceed the bounds of common decency. I am looking for ideas and suggestions which are useful for people in power and those whose duty it is to formulate policy and implement programmes. The articles I post on this blog are carefully chosen for the relevance to issues of the day. The fact that they are on this blog does not mean I share or endorse the views contained in them. I try hard to be balanced in both my writings and comments. The quality of the discourse, with few exceptions, leaves much to be desired. Most of the commentators tend to be petty and very personal. I get very few responses to my posting on economics, geo-politics, and international affairs. That is regrettable, but with time, the number of responses to these subjects will grow. I have friends in UMNO-BN, Pakatan Rakyat and civil society who I respect very much. In general, they are well meaning and dedicated individuals who are passionate about their undertaking, be it politics, business or social or humanitarian causes. I appeal to all not to use this blog to boost their egos or post snide remarks. By all means disagree, but please disagree agreeably. I will, therefore, delete comments that provoke hatred and anger against those who happen to disagree with your points of view. I served in government as a foreign service officer and central banker and then I moved on to industry and commerce (with Sime Darby Group and Indonesia’s PT Bakrie Brothers). I am also with the University of Cambodia as Associate Dean, Techo Sen School of Government and International Relations (2015) and Adjunct Professor of Business (since 2002). I am currently Associate Fellow, Malaysian Institute of Economic Research. 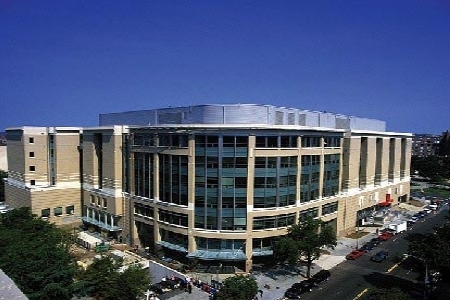 I received my tertiary education from the University of Malaya in Economics, and did postgraduate studies at The George Washington School of Business (above), George Washington University, Washington D.C in the States respectively on Kedah State and Bank Negara Malaysia scholarships. 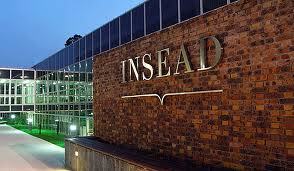 I was also at the INSEAD, Fontainebleau, France (1989). I was Visiting Senior Research Fellow of Penang-based Socio-Economic Research Institute (SERI), now Penang Institute. On January 16, 2011, I was conferred Darjah Dato Setia DiRaja Kedah (DSDK) by DYMM(His Majesty) Sultan of Kedah Darul Aman on the occasion of DYMM Tuanku’s 83rd Birthday. I didn”t know that decent people like you still exist.May your concern and efforts be forever blessed. Please help us to help the “lepers” of malaysia.There are 300,000 of us “lepers”. Help by promoting this cause. Malaysians are caught in an evil frenzy of racialised politics, they see a jungle, but are blind to the single trees. May God open their eyes soon. With people like you around, maybe there is still hope for Malaysia. Assallammuallaikum Tuan, my mother is a Merican and I was proud of it. I am a Mamak and proud of it. Lately, the mamaks have shown a downside (not your good self of course). Mamaks are very critical-thinking characters, however; the current younger generation are showing signs of becoming UMNO lackeys by participating in street demos which do not carry any decent message. Nice to know about your good self. Keep up the good work. Protect your Merican heritage.It has a long history of honest,hard working and independent people and their accomplishments. There is one Merican who is an UMNO leader. Thanks for reading my blog.–Din Merican. I’ve been reading your blog for news especially on the current issues in the country for quite sometime now. I’m sure all your efforts and the good work will help turn Malaysia into a better country. May I suggest; if you could change your blog with black text instead of reverse white. It makes reading more pleasant and not straining to the eyes. Din ,Dr Kam is your wife Din do you have a house at Lorong Bukit Pantai 5’Near Tun Ghafar house.I use to know a lady name Kak Jah staying in the house.Is she your X or we are talking different Din Merican. Opp.Sorry to hear that.I bought the house from Kak Jah and she move to Ampang.What about the lady staying with and a little cute boy.where are they now. My family and I enjoyed meeting with you, Dato Deva Ridzam & family at Restoran Melayu on Aug 16, during our holiday there. We had a memorable Raya celebration, the first in 14 years. Keep on writing! Had always like your blog but I must say I’m no fan of the new layout. What happen to old and vibrant one? It’s got more personality. Cheers! I just read and listen to your blog.I am not tech savvy, belong to the bullock cart era. I am not too sure this will reach you. I admire what you are doing. A bit of Don Quixote and a bit of Barrack Obama.Maybe we can meet again at that Nasi Lemak shop in Uptown. Hi Din, ur cousin tet here. Njoyd reading ur blog. Btw I m just curious bout a mr Hamid (aug 11) enquired about mama n the lorong bkt pantai 5 hse no 12. We sold the hse in the early 90’s but i thought to someone else. How do i get in touch with Mr hamid. Are we not done with parties that specifically have their registered name ties to a particular race or religion. Unless we open ourselves, we CANNOT rise above these counter progressive stumbling blocks. Any democratic party can lean towards: conservative, liberals, socialist,…or something like that without tying its name towards a particular race or religion if it truly aim towards national unison. We have come a long way since 1957; unleash the chain in this journey and move forward. Hi Din, I read your colorful ambassadorship that has gone on to various fellowships. As a nation, our politics have to mature in unison for ONE nation by ONE people. As a nation, it is timely to do us plenty of good to leverage on rising US influence to ASEAN on the backdrop of the SCSea lane matters. Opening up more of our economy may invite companies to relocate here; esp. US from PRC now that PRC has gotten expensive. That means increased TEU in Port Kelang (world ranked 13th) and Tj. Pelepas (world rank 16th). The KPI of a government is measured in JIGS (more Jobs, managed Inflation, more Growth and more Savings). How do you think we could have performed in real within ASEAN had our foreign policies been friendlier with the west since mid-90s? An ASEAN nation that has a no national brand name had gotten few global label in and since then had exported many folds. We could have that, had our politicians mature in their responsibilities. How can we catch up on lost time? Thanks. I don’t know you but after reading some of your blog posting .. I know you are certainly a Malay but your thoughts are not racial and you stand for universal values of fairness and justice for all and you love this country. It is refreshing to know that there are people like you around and we will need a lot more of your kind [ malay ] to be this kind [who stands for good values] to spread the good message of standing for universal values and be ourselves yet living harmoniously in this land as for too long, sadly too many people have been brainwashed by interested parties to become racial zombies. Hi Din! Its been long time since we have been in touch. Geeta from Zernike Group, the Netherlands. I happen to see your blog on fb. Its great to read that you are doing something for all of us. I left Malaysia in 1998 with lost hope but over the last few years I am beginning to see some light perhaps our generation of Malaysians will finally live to see the day where we will all be looked upon as Malaysians instead of being defined by race. When my husband first came to KL in 2002, he instantly saw the racial tension without even myself talking about it. All he said was “I hope you country doesn’t become another Ivory Coast in a few years”. I am from fourth generation of Malaysian and my children are fifth. Hopefully they will have reason one day to come home soon to find their roots. Long live Malaysia as it is a country with tremendous potential. By the way, Congratulations on your marriage. I heard about it through Don. I hope we will be able to meet again in KL. I have been in Africa since 2003 but I always visit my parents annually. Lots of courage and all the best in this mission to liberate all of us! I will do so Din. It will be great to see you and Don again. I wonder if you could remember me. I grew up in the Alor Setar Hospital quarters, and I used to play around the area where you stayed in the early 60’s. You were my senior. I called your mother Aunty Dorall, and she would call me ‘girl’. Where is Zai and Khairun now? I have not met them since then. I now reside in Alor Setar, after having retired as a Staff Nurse. I am now in my 60’s, and am married to an O&G specialist in a private hospital here. It is really heart warming to know that you are now contributing towards the welfare of this country. This country needs more sincere and dedicated people like you, especially now. I hope you are the Din Merican that I knew then. Yes I am. Khairoon is in Kuala Lumpur while Zai is Kota Bharu. You in the 60s? I am already 76 (2015, May 23). At the present time, I live in Phnom Penh, Cambodia where I am Associate Dean, Techo Sen School of Government and International Relations, University of Cambodia. I am married to Dr.Kamsiah, an Implantologist and Orthodontist in private practice at her own clinic in Taman Tun Dr. Ismail, Kuala Lumpur.I hope you will have chance to visit this welcome page to read my late response. All the best, Girl (to borrow my Mom’s endearing term).–Din Merican. INDEPENDENT senator Nick Xenophon has been refused entry to Malaysia and now expects to be deported. Senator Xenophon, who has raised serious concerns about the probity of the upcoming Malaysian elections, flew to Kuala Lumpur this morning but was stopped by immigration officials. “I am effectively a prisoner here. I’m being held in an area with all these holding cells which are full of women. They have basically told me I am an enemy of the state,” he told the Adelaide Sunday Mail. A spokesman for his office said he had been informed he would be deported under the country’s security legislation. But i prefer to maintain my anonimity, since school-days up to my career in life, people who meet me have an instant dislike and they do frown upon me…can’t explain why….i suppose its written in my stars…. Btw, if PKR comes to power, i fervently hope you would be the Nation’s Foreign Minister, for the capacity & comptence you have in a wide variety of fields….i mean, the skill & ability….hope everyone joins in this ‘ prayer ‘ – Sincerely, Abnizar. Hi, Din. Hamzah Majid here, your old colleague from Wisma Putra days. We must have a chin wag over coffee in Bangsar again. It’s been some time. Now, Din old boy, what do you make of the EIU assessment of the PRU 13? I enjoy reading your blog, and would share with you what I overheard while I was waiting by the corner, in hospital, someone talking about the happenings in Lahad Datu, and one of them commented that in his kampong there are many illegals from both sides of the neighborhood, as coming from north east and south of the boarder. He said, when someone dies in his village in rural kimanis, Papar, they will come to the funeral and help themselves, then they will ask, borrow or steal the identity cards of this dead person. That is another way of them becoming locals by assuming the identity of the dead person. As it is the tradition of some of the locals to bury everything that belongs to the dead, they literally dig the graves to get whatever they can. Identity theft kampong style seems to work, they can gets first class citizenship and get all the benefit just like that. My book is also available as a Special Edition e-book beside the printed version. My user name is still blocked by RPK. It’s always refreshing to read about current events from an informed and incisive viewpoint. I feel wiser and smarter everytime after reading your blog. 😉 keep em coming…. Then a few months prior to the election you seemed to run out of patience waiting for him to perform and started advocating for change. It would be interesting to hear your comments on what caused your change of opinion. I only recently started following your blog prior to the GE13 and I find the contents fair, enlightening and motivating. With decent Malaysians like you who wear their hearts on their sleeves around, I agree with David Chin, Zainal Abidin Musa, David Ng and others that there is still a hope for Malaysia. Rome wasn’t built in a day and neither should we be kept waiting any longer. 55 years was a long time. Chris, thanks. But the blog is as good as the quality of the readership and commenters it attracts. I provide the platform by choosing articles that reflect the mood and concerns of Malaysians and provide my own comments to initiate discussion. This blog is for all who are constructive and intelligent in the expression of their views. Wishing you and family and all Muslim readers of this Blog Selamat Hari Raya. I just started reading your blog two weeks ago and since then I have been checking it out daily. Like the majority of Malaysians i am very concerned and worried for our country which seems to be falling apart. This is a beautiful country and I will wish to stay and die here. In the midst of so many uncertainties, it is reassuring to hear from rational thinking and good hearted people like your good self. I hope the current leadership will listen to you and similar voices and be brave enough to bring about changes for the betterment of our wonderful country. Don’t let one or two selfish politicians hold our country to ransom. My dear friend , it was great to have you both for Xmas ! Do blog on ! I enjoy and respect your views ! The Riza Wallstreet matter is looming large ! Are you covering it pl ? Now we have a fine M P from Raub ! His statement on Stupidity is fascinating ! would like to receive your emails. We need someone to set up a Client Account with Rosli Dahlan’s firm, the subject of which is per the article above. RPK is reluctant to do so himself; would you do so? Dear Dato, I’m not a Malaysian but I am proud to have chosen to have called Malaysia my home for my self and my family for the past 20 years. I operate a small specialist business operating both Internationally and in Malaysia, and employ and train Malaysian staff in our business enterprises. We generate serious income for Malaysia and pay all of our taxes and duties in Malaysia. I am currently astonished, nay flabbergasted, at the recent social/political/public service changes, which while initially were gradual, but are now appearing to be a flood. We ( I am referring as a Malaysian) have the Police not accepting or acting upon court orders; and now State authorities not accepting the direction of the Attorney General. Where is the future for Malaysia if the rule of law has no standing? This is a fantastic country with outstanding individuals and enormous potential. Take off the chains and let the natural economic and social expansion take place. I really fear for the future based on the current direction. With fear in my heat, but hope in my sole! I was born 67 years ago in this country. Yes, the change for the worse started 30 years ago, and it has accelerated the last few years. There is no more inter-racial trust and respect. We have been divided by race and religion, all for the benefit of a handful of greedy politicians.There is now total failure of rule of law. I have no more faith in this formerly beautiful country of ours. I am afraid the slide will be complete in a matter of time, and Malaysia has failed. i was made aware of your blog only today by dr. kassim ahmad when i did a brief interview with him on his on going case with Jawi. he told me to look up your blog. i have been writing in free malaysia today under the name narinder singh (some articles were deemed controversial by readers). i like your take in your welcome page….working towards a better malaysia…. I note with admiration that you are a signatory to the new Negara-Ku coalition. The following statement however, accredited to the Home Ministry as reported in TMI, ” “For that matter, Negara-Ku is an illegal organisation,” it said in a statement on its Facebook page today”, only further amplifies the rapid decline of this wonderful country. Only caring Malaysians can stop the rot. First of all Selamat Hari Raya tyou, your family and all umat Islam out there. Hope you are doing great. I got to know you while working with you during my days in Prima Consulting way back in early 2000. Enjoy reading your blog. Keep it up. Hi Din, congrats and thank you for delivering us Malaysians a wonderful blog. I have not even read any of your blog post yet but spent approximately 35 minutes reading and digesting your welcome note and your faithful reader’s comments! It is my nature not to read any “political” blogs from Malaysia as I’ve lost hope on Malaysian current “politicians”! I chose not to read local dailies for the past 4 years now, I stopped watching local TV news long time ago, I stopped mentioning our Malaysian, chosen MPs and Wkail Rakyats as our LEADERS….all these things are done to protect my own emotional wellbeing as these acts mekes me emotionally disturbed, angry to be precise! I admire your educational and career background which a person like me from a poor “non-bumi’ family background could only dream! I did well in my studies and admired by my fellow “bumi’s”….a history now! Isn’t it great to write about our motherland and get great respond from Malaysian of all walks of life? This what I see in your blog and I’m delighted about it. I’ve been toying with the idea of starting a blog for some time now….I’m going to seriously start one soon. Just to note what FOM and Geetha said in their comments, I agree with them. I was in Bengaluru briefly for studies ( which ended abruptly when Indian Government refused to give me student visa responding to our former PM who insist that this is an Islamic State) at a time when the tension between the host country and it’s neighbour was sky high! Though I with my wife and our three year old daughter looked very much like the locals, we were referred to as Malaysians! But the moment we came back to Malaysia, our motherland we were immediately labelled as Indians! What a shame! Sir, only when the citizens of this country, born and bred here,referred and proudly called Malaysians, then there will be a true One Malaysia! I could recall the scene when one evening in nineteen sixty nine, which I assume the May thirteenth…I was as a three years old toddler holding my poor dad’s hand buying fruits along stalls in Chemor,Perak…adults around us were running in panic shouting the words ‘curfew’! The next couple of days later when I woke up, I admired the majestic looking armoured fighting vehicles parked outside our government quarters home! I enjoyed the canned baked beens and sardines given to my family by the friendly soldiers for the next few weeks from then on! Why do we still have our so called “leaders” threatening the rakyat with May13 while still enjoying the slary paid by the rakyat? Lets work together for a greater nation called Malaysia. PS: Pardon me for this long emotional outpour of mine. I leave it to your own discretion to edit it as you feel necessary. Your name is same as my friend father’s name. 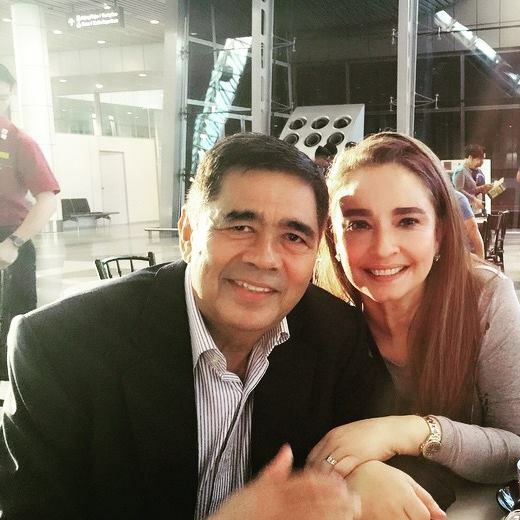 Are you the father of Arif Merican and Ina Tisha Merican? Wishing you and family and a Happy New Year. Dear Din, Assalamualaikum, sorry for addressing you just Din coz i think I should address you Dato. Beautiful year end to you and family. I have been your follower for quite sometime. Like your writing very much and how I wish I could have a page as what you have, but I am a lame duck, so I hope once a while I could use your page to forward the little thought I had. “Oh my English” far too naive compared to you, again sorry for that. Lets hope this new beginning of 2015 brings us the change we Malaysians are lusting for. Hope those in the Corridors of Power are blessed with positive thinking and understand their roles as Representatives from the people to the people and not for the relatives and cronies so that they can take this beloved country to where it should be.Finally Din, wishing you and familys, Happy New Year and God Bless you.Thanks and regards.HamzahMKasa. Dato Din, I enjoy reading your very interesting and informative blog. I wish you, Dr Kamsiah and family members A VERY HAPPY NEW YEAR. Would like to take the opportunity to wish you and loved ones a Very Happy, Fruitful and Healthy New Year. may the years ahead keep you safe and in good health, so that you can continue to do do what you are doing, to try to steer this country to sanity and fruition. I just completed reading your welcome and all the comments. It is indeed gratifying to see that there are people like you and G25 who are willing to speak up to save our country. I believe most non bumis have no quarrel with the special position of the bumis and are not asking for the same. All we want is is to be treated as fellow Malaysians and not as pendatangs. A bumi who is settled in UK is not treated as a pendatang. If we could live in harmony this would be a great country. Tks. I was introduced to your blog by my personal friend kassim ahmad. Keep it up. God bless you for your efforts to build an inclusive society. M.pakiam. Please send me your emails regularly. Hello Din. I’m a regular reader for your blog. Is it possible to change the background colour of your blog to something other than black….maybe just white. I’m a senior citizen and the colour is difficult on my eyes. The words expressed in yellow can hardly be visible in the bright white back ground of the screen. I find the white background a bit glaring. Please look into it. Thanks. Looks almost there. Let me come back to you on the slight whitish glare after a few days. Tried to drop you an email. However dmrican2@gmail.com does not seem to exist. How can I reach you, please? Thanks Din, I like the new background. Thanks for the efforts, Din. With the dotted line separating each commentator looks real good. It provides a contrast and nice soft break visually. Looks fine without the need to waste money in getting good results and without for paying extras -wish the message could get through to the heads of Najib and those power-had-been , to-be or may-be. Im Nik Aziz. When are u coming back? I have never miss a day without reading your post…but lately your new format on your blog is wearing out my eyes. the black background is stressful if reading your pages as its putting a strain on our old eyes.! Please revert to your old style wont you ? My apologies to let you know on this. Funnily, i stumble upon your blog while googling about Rajadin Wan Mat. Though i couldn’t get much on Rajadin, i got a lot more through your writings. Thank you both and god bless! Raja Din Wan Mat was a close friend since the days when we were students in Penang, although we were at different schools. He was the Johnny Mathis of the Pearl of the Orient when he sang Chances Are at a Talent Time contest. Here is my tribute to my late friend, Rajadin.Listen to Johnny Mathis singing his 1957 hit song. I remember him mostly for his unique golf swing when we both were playing the game at the Subang National Golf Club. He was murdered brutally and till today we don’t know who committed that dastardly act and who ordered that he be killed. Oh my what a tragic ending to a beautiful soul. Thank you for Raja Din’s brief background. His performance in bakat TV 71 was so mesmerizing that i wonder why there is little known of him. I truly believe that the young (myself included) should be more exposed to our colourful past instead of current paleness. I like your writings.. well researched, incisive. But, could you inter-change the background and text colours. This white on black is tough on my eyes… I wonder if anyone else feels it? I look forward to reading your Blog everday and the postings therein together with the comments posted by the readers. I was invited by my friends to attend a DAP fundraising dinner last night at the PJ Civic Centre. There were altogether 300 tables, each table is able to accommodate 10 persons @ RM75 per pax. It was well attended by the PJ folks, almost 99% Chinese. I am not sure how much the DAP made from the function. Rafizi Ramli and Mat Sabu were guests at the function and of course the local Aduns and YB Tony Pua was there. As usual, for function like this YB Lim Kit Siang would not be left out. He too was given a grand welcome. 1. Both Mat Sabu and Rafizi were given a rousing welcome and they were given standing ovations when they entered the premises separately for the occasion. I wonder whether their fellow Malay brethens would give them that kind of respect and welcome. Please correct me if I am wrong. 2. Last night was the first time I heard Rafizi speaking. He is a good speaker, really very good speaker. I think we can find good and strong leadership in this man. 3. It was also announced by Tony Pua that in his appeal about a week ago for donation on the occasion of his 43rd birthday @ RM43/- per person to be remitted into DAP Malaysia account, a total of about RM1.1 million + was collected for the Impian Sarawak/Sabah project. 4. Not be omitted here is that there were 2 places reserved at the VIP table for both Jibro and his wife. corruption case is serious in our country, hopefully after Saturday coming bersih 4.0 we can see the outcomes generate by Malaysian! Thank you for your service to the Malaysian community. In times like these, Malaysia needs fair minded, wholesome people to Make The Difference (MAD). May the Creator of Heaven and Earth continue to shower his blessings on you and your family. What a delight to come across a blog well-dressed and organized, easy to navigate and read. Pleasant discovery. I am fairly surprised to find this blog of yours. It gives me a glimmer of hope in the midst of current turmoils. I guess you must be one of those old timers my parents talk about when they speak of their ‘good old days’. Hi Dato what is your comment on the Barry Wain ‘Malaysian Maverick Mahathir Mohamad on Turbulent Times’ second edition. Dear Mr. Din Merican, I came across your blog when casually informing myself about present-day politics in Malaysia, as it’s a part of the world I know little about. While from an entirely different field and part of the world (born in China, came of age in the USA where I still live and work as a writer/teacher), I have just spent the last hour mesmerized by the deep, sharp glimpses your blog provides into the heavy-hearted yet passionate causes for social justice in your complex society and for a fuller, clearer-eyed picture of Malaysian history. Even as someone not previously invested in these issues, I feel educated by your blog, and now look forward to staying more aware of the Malaysian situation. Looking forward, too, to visiting your country one day. Thank you. When I get comments like yours, I feel that the countless hours I spend blogging about the country I love and one that has broken my heart many times with political nonsense from my leaders have been worthwhile. I have tried to be fair and balanced in what I post on this blog, but I am being regarded as disloyal to my King and country.That hurts, but I will soldier on. I used to like Malaysia. I am not sure now. Still remember and miss the discussions, banter and laughter we had at Car n Co, PJ. Had absolutely not an iota what your background was when we first met 15 years ago. I was a rookie golf salesman with Dunlop. As I read your most recent article, I reminisce over the jokes and hard truths that I learnt. Particularly recall a BBC HARD TALK we watched together (the one where the then Datuk Syed Hamid Albar (now Tan Sri Datuk Seri) was the Foreign Minister being “grilled”. Still remember the humourous yet logical anecdotes you made that afternoon somewhat.. Cheers from The Middle Kingdom! Terence, thanks for your kind remarks. Humour is still be the best medicine. I enjoy poking fun at characters like UMNO’s Syed Hamid Albar who is full of himself. I knew him for a long time. He was a banker with the now defunct Bank Bumiputra. I visited him in Bahrain when he was the top honcho of the bank’s operations in Manama. I remember Anwar Ibrahim calling me one night in 2008 to ask me to fly to Singapore since my name on the list to be taken in under ISA. I told Anwar I would not run. The Home Affairs Minister then was my friend Syed Hamid Albar. That is what happens when your friend is an UMNO politician. For some strange reason, he did not sign the order. Thanks for your reply Din. Really happy to see that you have kept true to yourself and your brand of witty humour. The last we met was so many moons ago but it seems like it was yesterday! I must thank Dunlop, Qadeer, Nasser, Nellan and the rest… without whom we probably would have been two vessels passing each other on the high seas in the dark of the night. It would be a wonderful pleasure to catch up. Please do let me know should you drop by Beijing and have the time to meet. My email is thkl2020@yahoo.com. I have to thank technology for this. My father has been pestering me to ‘look in the internet’ for you. Finally after meeting Moy he mentioned to Google you. My dad H.H Tan (ex Chubb) sends his sincere regards. Pls do drop us an email at ttan22@yahoo.com. Look forward to hearing from you soon! To connect my dad with you again. As a close friend of Malaysia for more than 20 years I’ve unfortunately and disappointingly become more and more pessimistic about the future of this fantastic country. But little did I expect the the plunge in feeling I experience today when I read that the auditor-general, Ambrin Buang, is to be replaced in 2 days time, with little or no fanfare or publicity. Of the huge number of public servants feasting on the Malaysian public purse, so very few, (if indeed, any), have demonstrated the clear and professional conduct and acceptance of their professional responsibility as this fine officer. Year after year he has presented audit report after audit report demonstrating outrageous breaches of financial responsibility by department after department. And each successive year there appeared to be so little progress, or indeed any real desire or intent on behalf of the departments, (or their senior management) to improve. (As a side note, government ministers at both state and national level continue to wipe their hands of any responsibility regarding the operation and performance of the departments under their ministerial portfolio). But back to the Auditor General situation. I am not aware of the professional qualifications of Ambrin Buang, but I would have expected a national auditor general to have formal qualifications and experience in accounting, auditing or financial management. The quoted qualifications of the replacement AG does not seem to cover any of these professions. I will keep my fingers crossed that the new AG will continue with the fine work of her predecessor. I wish her all success. One clear way to improve public service fiscal management would be to reduce the amount of duplication between departments under government ministries and departments within the PMs department to enable clear and focused policy to be implemented. Sorry Din, must have drifted off into dreamland for that one. Ambrin is a big let down. –Din Merican. Dear Mr Din Merican, I came across your blog by chance recently through events that unfold eversince GE14. Though I am not a Malaysian, history, current affairs and politics of Malaysia has always interest me. It have been a worthwhile few hours reading your blog welcome note and some articles old and new. I feel informed and picked up a lot of pointers in the art of good writing at the same time as I read your blog. Look forward to more reading of your articles. Lastly, pardon me on my poor command of English. I’ve found your blog and I’d like to let you know that I really like the information you’re sharing. As a content writer I realize how difficult it can be to find the right topics your visitors like to read and share. 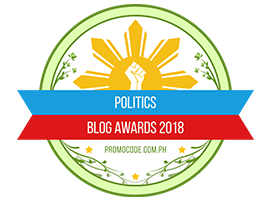 For my job at promocode.com.ph I’ve got the possibility to nominate you for our blogger awards: Politics blog awards 2018. Politics blog awards 2018 is set up as a voting competition meaning that our users decide which blogger will receive the largest prize. The full amount of Php 10500 will be divided between the bloggers according to the percentage of votes received. The voting ends at 12:00 on 13 December 2018 . To participate we ask you to help spread the word of the awards by linking to the awards on your blog. As a former Malaysian I was wondering if you would be interested in reading and/or commenting on my first book “My Learned Friends” – in your blog. I began my writing career after I had retired from practice. It was published in the UK 2011 and is all about the Law and Lawyers, Courts and Judges, Cases and Trials happening in England but seen from the perspective of an Asian Barrister. I thought your readers may find it interesting but if you decide otherwise I will not pursue this any further. Was just a thought! Karm Arger is a nom de plume. Recently I contacted you regarding your nomination for Politics Blogs Award 2018. The full amount of Php 10,500 will be divided between the bloggers according to the percentage of votes received. The voting ends on 13 December 2018. Please respond to this email if you would like to participate. If not: what could entice you to participate in an awards like this in the future (all feedback is valuable to us). I am a Malaysian citizen and a Corporate Member of the Royal Institute of British Architect, London. I am interested to contribute articles on social and environment sustainability issues in Malaysia. Please can you advise what are the rules and requirements for me to contribute articles of national interests.